BIMCO, the world’s largest international shipping association, has said that only international action will stop an increase in piracy. The comments come amid increasing attacks in West Africa. The Baltic and International Maritime Council (BIMCO) said that a fresh annual report from the International Maritime Bureau shows that attacks in West Africa pushed piracy numbers up in 2018. In terms of military and law enforcement, an international operation is not complicated, so what is needed above all is the will to act. According to the bureau’s report, there were 201 incidents reported to the bureau last year (including six hijackings) – all of which happened in the Gulf of Guinea. That is a rise from 180 incidents in 2017 and from 191 in 2016. “To be honest, unless we see international naval support and close cooperation between international navies and local law enforcement, I doubt that we will see the numbers go down in any significant way,” Larsen said. “From a strictly military and law enforcement point of view, this is not a complicated operation, and it has been done before in other parts of the World with success. It may, however, be complicated from a political point of view. It all comes down to will. If local politicians and the international community are willing to support this, then it can be done relatively easily,” he said. Today, the local navies are doing a tremendous job with the resources they have available, BIMCO said. Battling both insurgencies, terror organisations and other criminal activities however, there is simply not enough law enforcement resources to fully tackle the piracy threat. 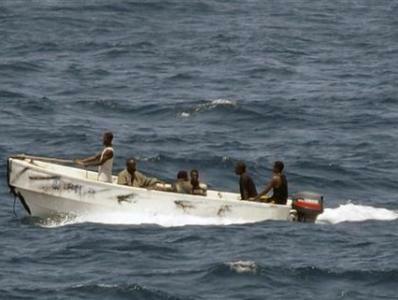 The result is that pirates continue to strike in the Gulf of Guinea and continue to constitute a big threat to commercial shipping. “In the light of the new report, showing that piracy rose in 2018, we are once again calling for international navies to deploy to the region of West Africa primarily, and to cooperate closely with law enforcement from the region. “This is in the interest of everybody. It is obviously in the interest of the seafarers, but each and every one of the naval powers in the world have a strategic interest in this region, since there is a lot of strategic commodities that come out of the Gulf of Guinea region. It really is in the interest of the international society to make this trade smoother, and to protect the seafarers on whom we so deeply depend to keep the trade flowing,” Larsen said.